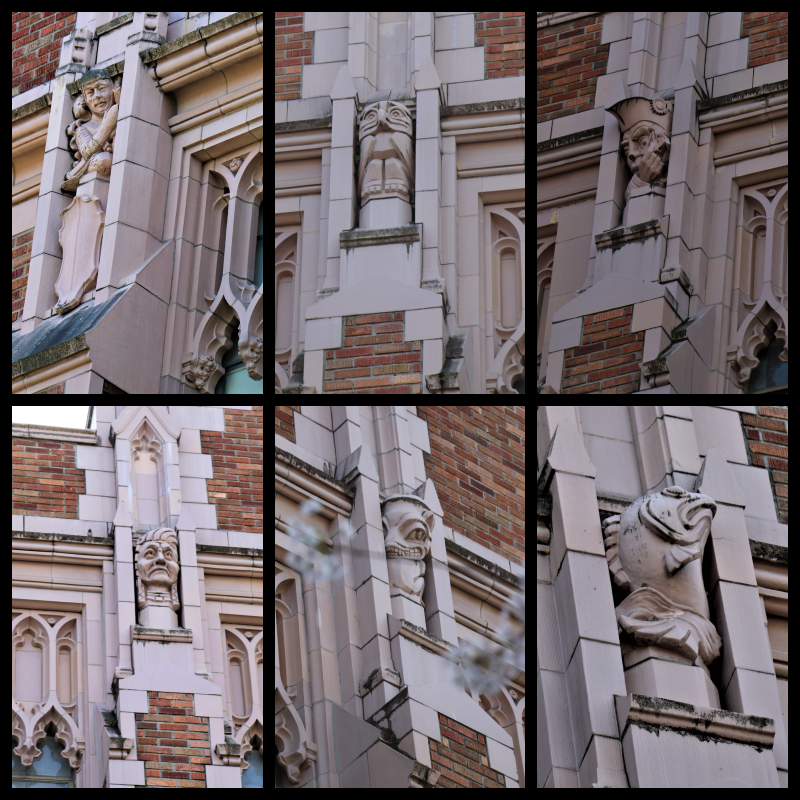 University of Washington Gargoyles | The Happy Wonderer ~ ellen b. 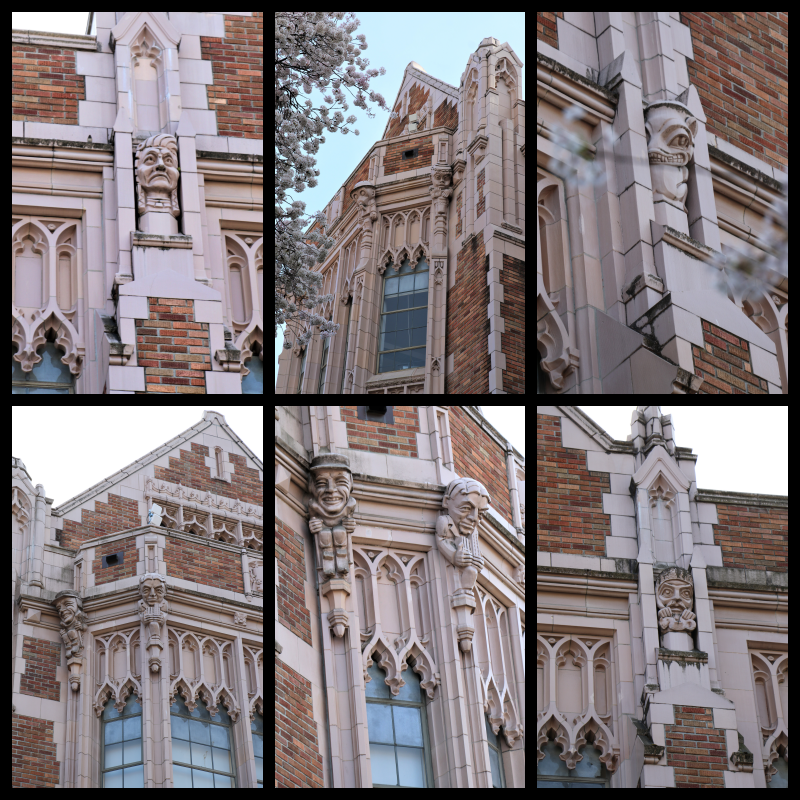 Posted on April 7, 2019 by Ellen •	This entry was posted in Travel Washington State, Washington and tagged Architecture at the University of Washington, Gargoyles, Spring 2019, University of Washington. Bookmark the permalink. WOW, Ellen, such detail in the architecture, I will admit they are interesting to look at, but not pretty. looks like you and Laura had a wonderful experience! Thank you for sharing. I am happy you are getting a break in your weather. A beautiful building that captured so well! …what a fabulous work of art! 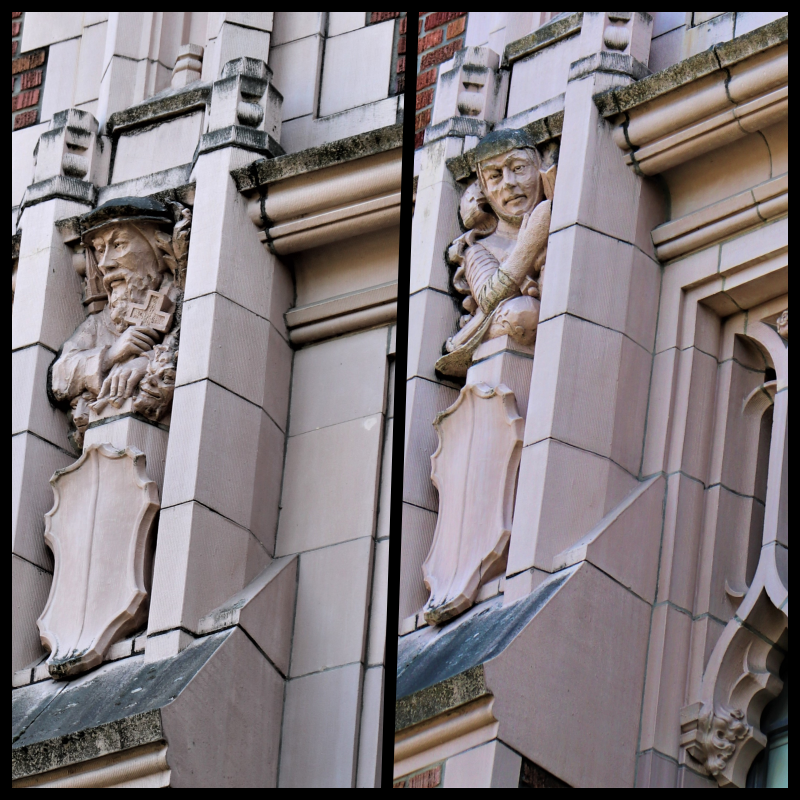 I always enjoy spotting interesting architectural details like these and the University of Washington’s gargoyles are so unique! We’ve been having very warm temps in the 70’s but snow is predicted by the end of the week–typical Colorado Spring! 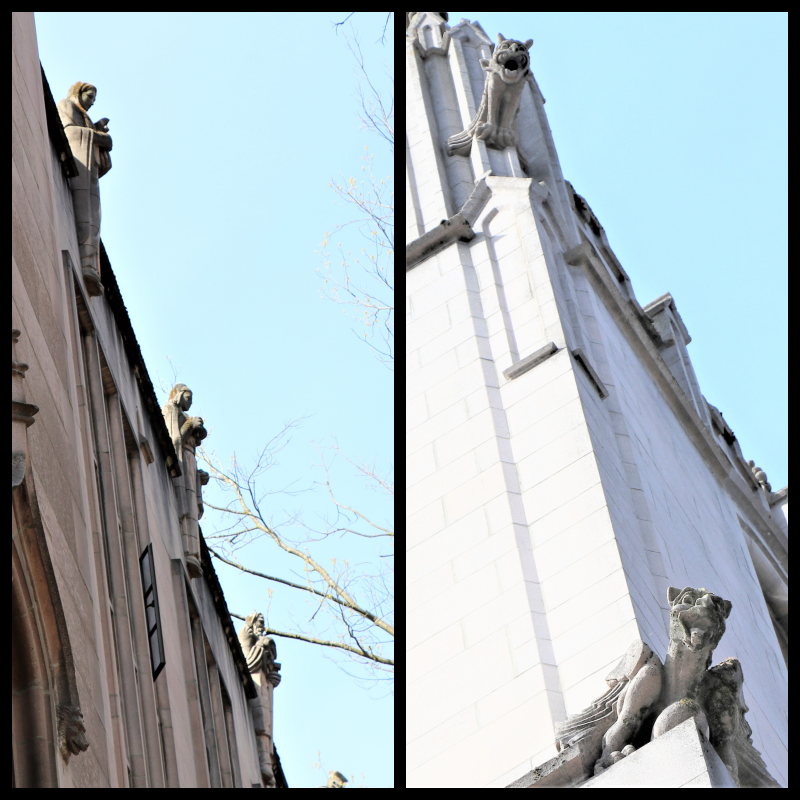 Ellen – I have seen many a gargoyle in my time touring churches in England. I like the ones you have shown here because many of them are different than the traditional church gargoyle! I am curious about the sentence at the end of your post, that you need to spread the work over 5 years. Why five? Thanks for linking to Mosaic Monday! Angie, I said 5 years to pace my brain. There is enough work at our country bungalow to last a lot longer. It will be interesting to see what projects are tackled and what ones are left behind. 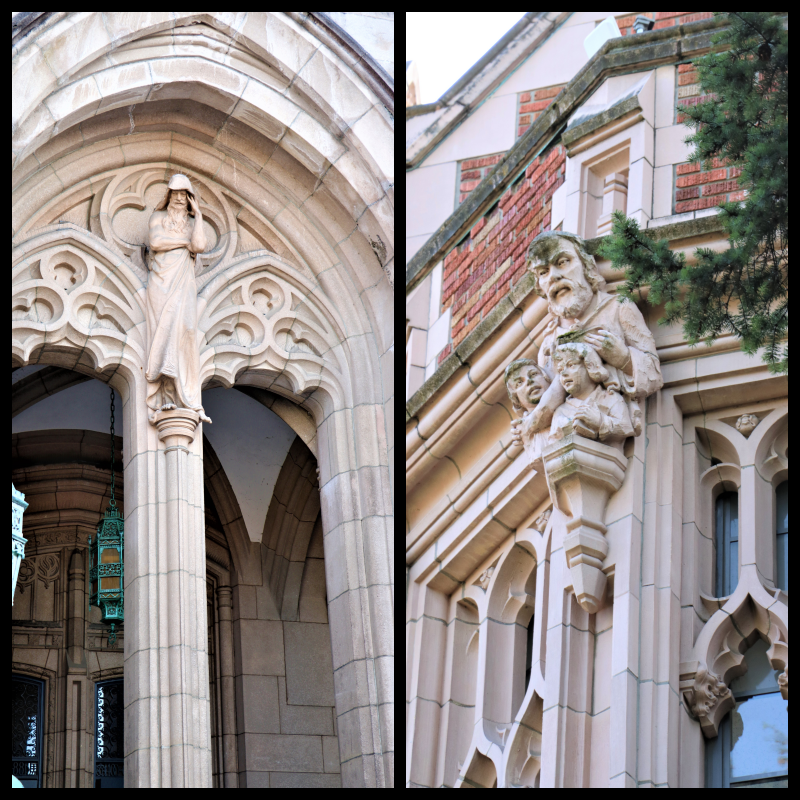 I liked seeing the gargoyles and the lovely old buildings. Thanks for sharing. All those gargoyles are pretty amazing. Such detail. We have projects to do like you too. We have enough here to keep us busy till we die!! I said 5 years to pace my brain but it’s more like until we die here, too! 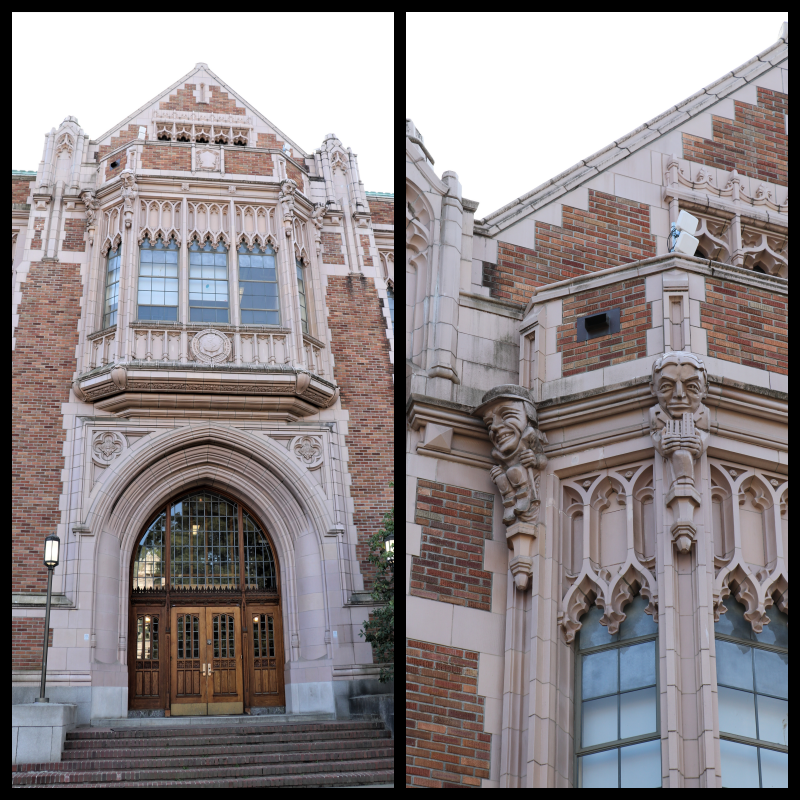 I remember being fascinated with those “heads” when my dad took my brother and me on a tour of the campus, maybe when I was around 10 or so…we were visiting my Aunt and Uncle in Seattle…. and mom must (now that I think of it) have wanted some sister time. It was unusual for my parents not to do things together.